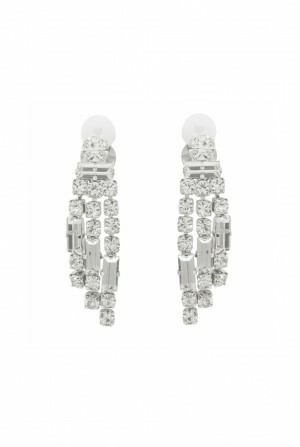 Add a twenties touch to your attire with these glamorous Geometric Tassel Earrings! Perfect for when you're feeling fancy, these fringed earrings will glam up an elegant gown and create a dressed-up deco look without hassle. Their on-trend hexagonal shape and tantalizing shower of shimmering tassels keep things cute and cutting-edge yet embody chic 1920s geometric influences. RMV knows that comfort is key when it comes to evening accessories so they are also lightweight and fitted with a secure fish hook fastening so you can swing and shimmy 'till your heart's content. 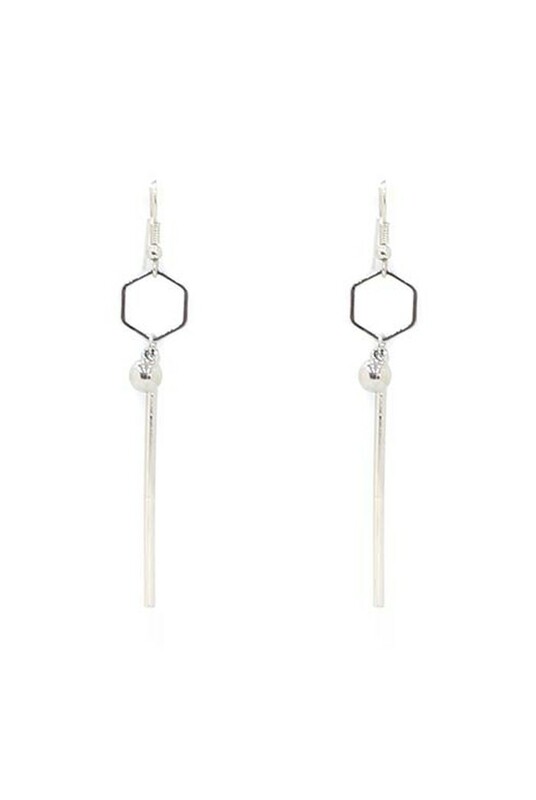 These 1920s style drop earrings feature a silver hexagonal silhouette which cascades into a cute tassel chain. They have a delicate fish hook fastening and sit on the shoulder.